4582 Clearbrook Drive St Charles, MO. 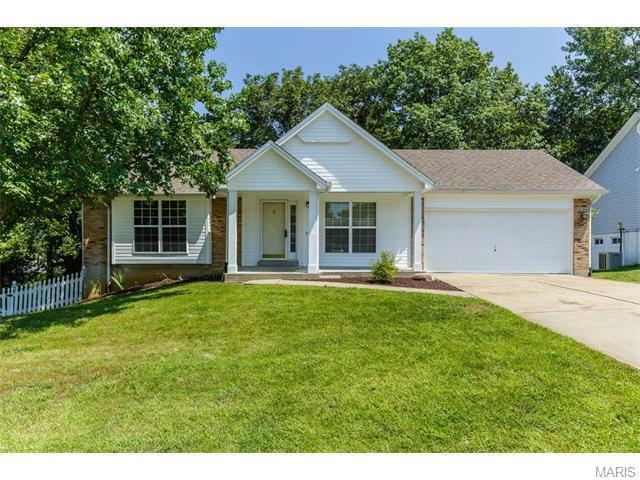 | MLS# 15036247 | Homes for Sale in St Charles, St Louis, Lincoln and Warren Counties! Looking for a Free Foreclosure List? Call Cheri Peterson 314-283-7251 Our Team is on the Leading Edge when it comes to Technology! Back on the market ...no fault of the Seller. Great Home! Great Location! Great Price!! This nice Gem Features a Vaulted Open Floor Plan with Wood Laminate Floors in Bedrooms, Vaulted Kitchen w/Tiled Flooring. Cabinets were Freshly & Professionally Painted as well as all Interior, Trim & Baseboards in Neutral Colors. The Vaulted Master Suite offers a Double Closet & Window Seat and Planter Shelves. The Walk out Lower Level has a Finished Rec/Family Room. The Home has an Architectural Roof that is being replaced due to Hail Storm, New Siding 2015, New Windows 2015, New Deck 2015. This is not a rehab or a Flip home.You don't have to Break the Bank to own this Home. Close to Major Highways, Shopping and Library. Come make the Discovery!Payments on this Gem could making Owning More affordable than Renting! The Big Ticket items are done. Fenced Yard and Backs to Towering Trees & Woods!